All this snow, as well as the Polar Vortex we’ve experienced in recent years, has been twisted by climate deniers who claim that winter storms are an indication that our planet is not warming to the degree that scientists claim. But as the Climate Reality Project explained, “more and more research indicates that as global temperatures warm and Arctic ice melts, the jet stream is slowing down and becoming wavier, allowing frigid polar air to spill into places that aren’t as accustomed to seeing it.” Climate change is also behind LA’s recent snowstorm that puzzled Angelenos and caused some unbelievable photos. 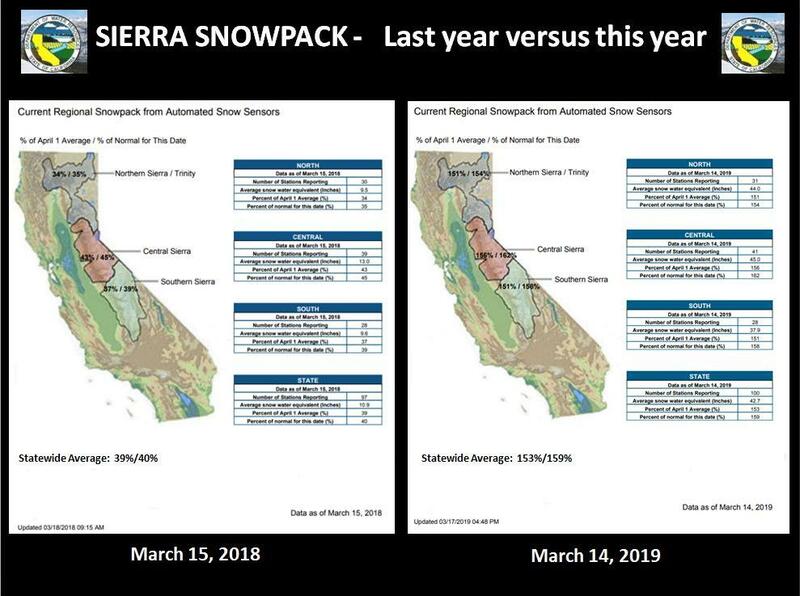 Why This Matters: While this winter has turned the West into a snowsport paradise, there’s no telling what next year can bring and whether drought will return. For elite skiers, this can prove to be a serious liability, but for the many Americans who rely on snowpack for their drinking water, these fluctuations can create a crisis as snowpack is such an important component of our water resources. Super Cool: As ESPN reported, hitting back at the president of his sport’s governing body, Swiss skier Daniel Yule will give his half of his prize money this month to an athlete-backed charity campaigning against climate change. The Olympic gold medalist said Monday he is “putting my money where my mouth is” after criticizing International Ski Federation president Gian Franco Kasper at the world championships last month. Kasper’s comments about “so-called climate change” in a Swiss newspaper interview prompted Colorado-based nonprofit Protect Our Winters to urge him to resign.